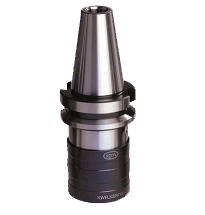 The Main Application is to suit taps mechanically on CNC machines, lathes, milling machines ,drilling machines and machining centers. It Has a Very short design and low weight. 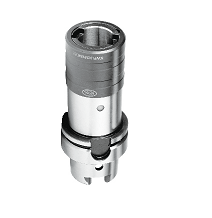 The Quick Change feature is there to suit Quick Change Adaptors with and without safety clutch. Length compensation is there to compensate difference in pitch between positive feed and the pitch of the tap. 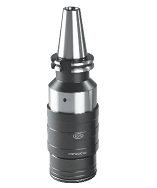 The chuck is equipped with an adjustable device to increase the cutting pressure to ensure positive start when tapping cycle commences. The Chucks WELK can be applied horizontally or vertically and are used for right or left hand threads. These are the major Applications and Features Of The KWFLK Tapping Attachments Appropriate KWES or KWE Tap Adaptors Can Be Purchased Along With The Tapping Attachments As Well. Where can I buy Tapping Attachment Online?